On Sale Now! 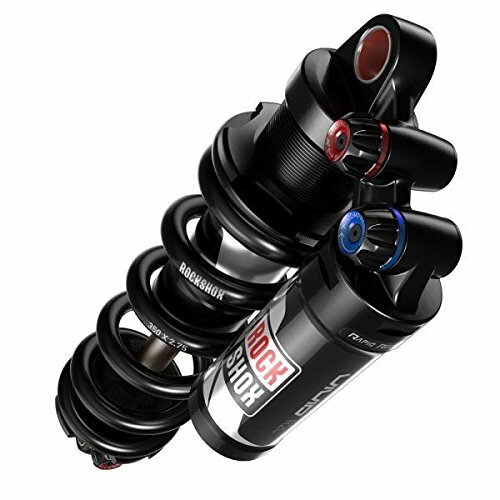 Save 5% on the Rockshox Vivid R2c Tune Midreb/midcomp My16 - 216 x 63.5/8.5 x 2.5 Inches by RockShox at Joes V Cycle. MPN: RS8120001. Hurry! Limited time offer. Offer valid only while supplies last. From downhill racing to extreme freeride, the Vivid R2C combines extreme durability with the precise adjustments that matter when you're going big. From downhill racing to extreme freeride, the Vivid R2C combines extreme durability with the precise adjustments that matter when you're going big. Laser-etched controls let you dial in beginning and ending-stroke rebound as well as low-speed compression. Rapid Recovery allows the shock to recovery faster between consecutive bumps, letting the wheel track the ground with greater precision. Switch for on the fly toggle between full and open compression. Intended Use: Downhill. Counter Measure for zero force stroke initiation. Mount hardware sold separately (2 sets required per shock). Dual Flow Adjust absorbs big hits while staying active through small hits. Spring must be purchased separately. Weight: 468. Eye to eye length: 8.5. Stroke: 2.5. External Adjustments: High Speed Compression Damping. External Adjustments: Low Speed Compression Damping. External Adjustments: Rebound Damping. Eye to eye length (mm): 216. Positive Spring: Coil. Eyelet Diameter (mm): 12.7. Stroke (mm): 63.5. Lockout Switch: None. Metric: No.